Born in London, Dr. Patel was raised in Wales (United Kingdom) and Virginia. She completed her undergraduate and medical school studies at the University of Virginia. She completed her dermatology training at The University of Tennessee Health Science Center in Memphis. During residency, Dr. Patel discovered her passion for treating skin cancer and anti-aging and went on to complete a surgical fellowship under the tutelage of Dr. Michael McCall at the University of Louisville in Kentucky. Dr. Patel is certified by the American Board of Dermatology and is a member of the American Academy of Dermatology and the American Society for Dermatologic Surgery. She is a fellow of the American College of Mohs Micrographic Surgery and Cutaneous Oncology and serves as a clinical professor of the University of Tennessee Department of Dermatology. Dr. Craig Gordon was raised in Sharon, Tennessee. He earned a Bachelor of Science in Microbiology from The University of Tennessee in Knoxville and studied medicine at The University of Tennessee Health Sciences Center in Memphis. 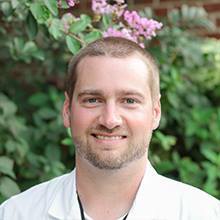 He completed a one-year study of internal medicine at The University of Tennessee Medical Center in Knoxville before moving to Jacksonville, Florida, to complete a dermatology residency at The Mayo Clinic. During his residency, Gordon worked and trained with dermatologists at all Mayo campuses, including Rochester, Minnesota, and Scottsdale, Arizona. He served as a resident board member of the Florida Society of Dermatology and Dermatologic Surgery from 2014 to 2015 and is a member of the American Academy of Dermatology and the American Society of Dermatologic Surgery. Dr. Brad Bledsoe was born and raised outside of Dickson, Tennessee. He earned a Bachelor of Science from the University of Tennessee at Martin where he majored in chemistry. After his undergraduate studies, Dr. Bledsoe received his medical degree from the University of Tennessee Health Science Center in Memphis. 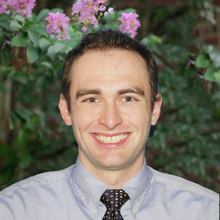 Following medical school, he completed an intern year in internal medicine and finished his residency training at the Kaplan-Amonette Department of Dermatology at the University of Tennessee Health Science Center. He is a member of the American Academy of Dermatology, American Society of Dermatologic Surgery, the Tennessee Dermatology Association, and Memphis Dermatology Association. Dr. Julie Jefferson was raised in Columbia, SC. She earned a Bachelor of Science in Biology from Erskine College and studied medicine at the Medical University of South Carolina. She completed her internship in Internal Medicine in the Johns Hopkins/Sinai Hospital of Baltimore Program and her residency in dermatology at The Johns Hopkins Hospital. Dr. Jefferson has completed 3 fellowships in dermatology. She studied nail disease and nail surgery in Portland, OR, micrographic surgery and dermatologic oncology at the University of British Columbia, and clinical research and clinical trials at The Johns Hopkins Hospital. While involved in clinical research at Johns Hopkins, she served as the resident member on the Council of Science and Research for the American Academy of Dermatology. She is a member of the American Academy of Dermatology, American Society of Dermatologic Surgery, and the American College of Mohs Surgery. Dr. Jefferson presents research and lectures on nail disease and nail surgery both nationally and internationally. Melanie Hamilton joined Advanced Dermatology & Skin Cancer Associates in 2010. 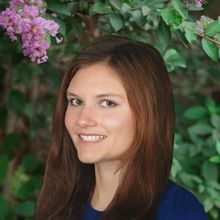 She earned a Bachelor of Science from Mississippi State University in 2004 and obtained her Physician Assistant degree from the University of Alabama at Birmingham in 2006. 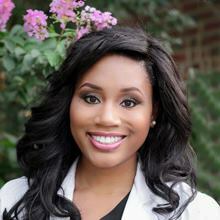 She has been a practicing physician assistant in the Memphis area since then. Hamilton is a member of the American Academy of Physician Assistants and the Society of Dermatologic Physician Assistants. 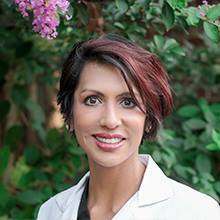 She is trained in general dermatology and cutaneous surgery and is interested in sports dermatology and acne treatment. 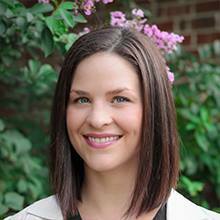 A native Memphian, Natalie Morgan joined Advanced Dermatology & Skin Cancer Associates in 2011. She received her Bachelor of Science from the University of Alabama in 2004. From there, she went on to obtain her Physician Assistant degree from Trevecca Nazarene University in Nashville in 2007. She has been a practicing physician assistant in the Memphis area for the last four years. Natalie is a member of the American Association of Physician Assistants and the Society of Dermatology Physician Assistants. She is trained in general dermatology. 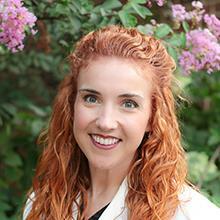 Alexis Johnson joined Advanced Dermatology & Skin Cancer Associates in 2014. She earned a Bachelor of Science from Kansas State University in 2007, then went on to earn a Master of Physician Assistant Studies from A.T. Still University in 2009. She has worked as a physician assistant in Texas, Mississippi and Tennessee. 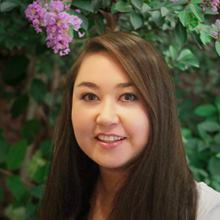 She is a member of the American Academy of Physician Assistants and is trained in general dermatology with an interest in medical treatments for hair loss and ethnic skin care issues. Jennifer Hinders joined Advanced Dermatology & Skin Cancer Associates in 2017. She earned a Bachelor of Science from Mississippi State University in 2009. She went on to earn a Master of Physician Assistant Studies from Christian Brothers University in Memphis in 2016. Jennifer is a member of the American Academy of Physician Assistants. She is trained in general dermatology. Sandra Johnson has more than 12 years’ experience in medical esthetics, including laser technologies. She obtained her certification from a CIDESO-accredited program in 2004 and has dedicated herself to ongoing advanced training. She is certified with laser platforms and advanced esthetic treatments including Ultherapy, Cutera, Cynosure, Candela, Solta and Palomar.